Getting the “big rig” ready to go! 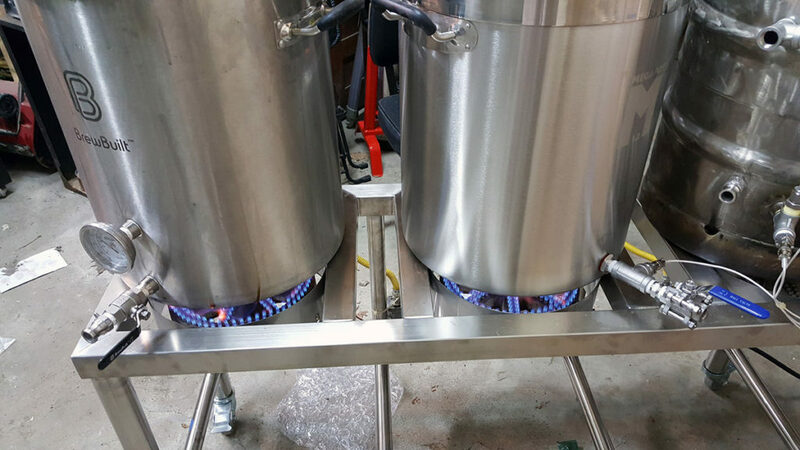 The rig consists of three 10″ banjo burners running on low pressure propane and controlled by PIDs driving Honeywell furnace valves. 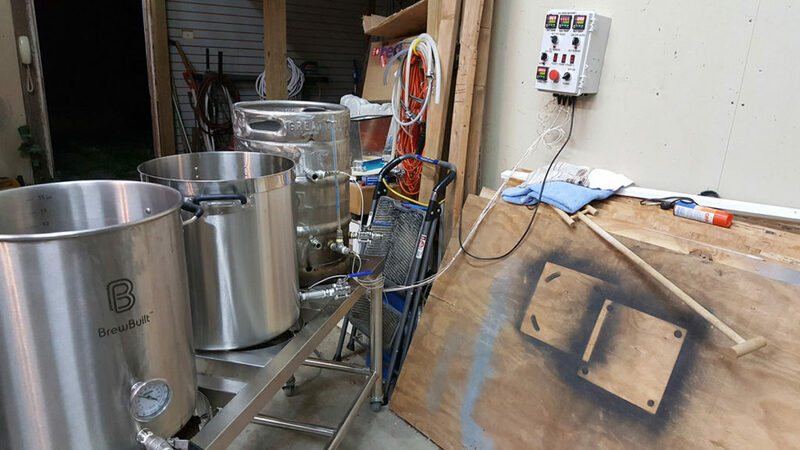 There is a heat exchanger in the hot liquor tank so I can operate as a HERMS (heat exchanger recirculating mash system). 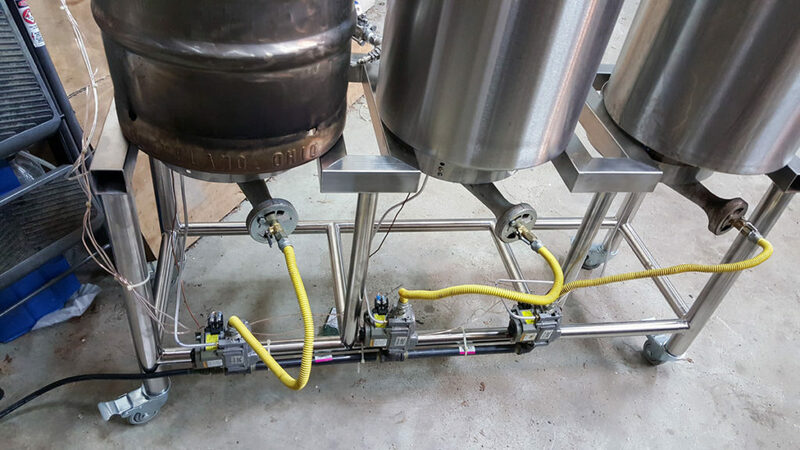 There is a controlled burner on the mash/lauter tun so I also have the option of running it as a RIMS (recirculating infusion mash system). The kettles are 15 gallons so capacity is 10 gallons max.